Yesterday I posted about making a turkey the easy way. 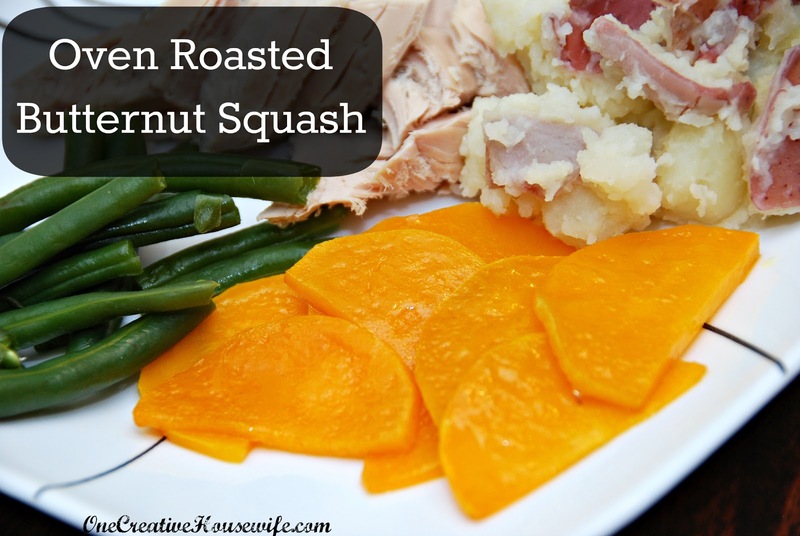 Butternut squash is a great side to any turkey dinner. Its sweetness compliments the turkey and other sides perfectly. Plus, it is super easy side to make for a meal any night of the week. 2. Line a baking sheet or two with foil. 3. 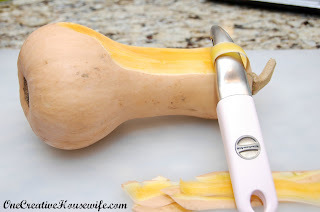 Wash and peel the butternut squash. 4. 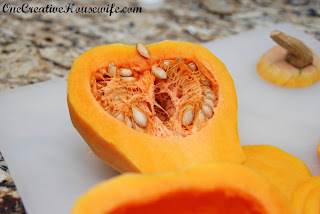 Cut the butternut squash in half lengthwise, and scoop out the seeds. 6. Place the butternut squash slices on the prepared baking sheet, and drizzle with olive oil. 7. Lightly sprinkle the butternut squash with sea salt. 8. Bake for 10 minutes, then flip the slices and bake for an additional 5-10 minutes. 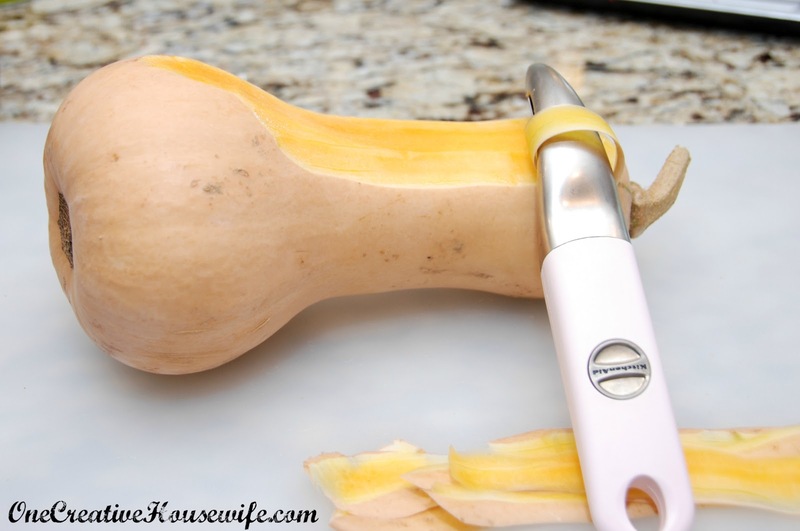 The butternut squash should be soft and easily poked through with a fork. This butternut squash is delicious, but I understand some of you are sweet potato fans at heart. If you are looking for a little spin on the traditional Thanksgiving sweet potatoes, check out this post. Ahhh! I love a good squash recipe! I'm SO making this!! Great job, thanks for sharing!! Maybe I can sneak this to my boyfriend one night because I think he may actually enjoy this!